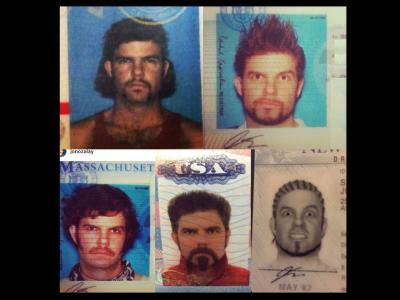 Buying a camera bag isn't a process to jump into lightly. Sure, it might seem like a bag is a bag, but when you get down to the nuts and bolts, some bags are better suited for casual photographers while others are better suited for those that are out all day shooting. There's messenger bags, backpacks, sling bags, and a variety of other types as well. Heck, there's bags for every budget too, from those that are $20-$30 to those that are hundreds of dollars. If you're a budget-conscious shopper, finding a great bag for a great price can be a bit overwhelming. 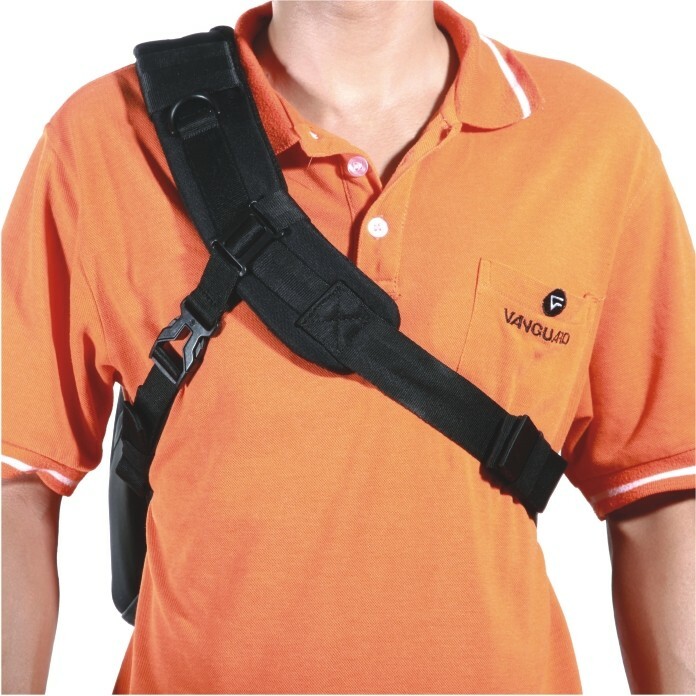 We'll be using bags by Vanguard as examples, because they have a reputation for making excellent gear and have top-notch bags throughout a wide price range, including those that are budget-friendly. Let's have a look at some of the best bags they have to offer for under $100. 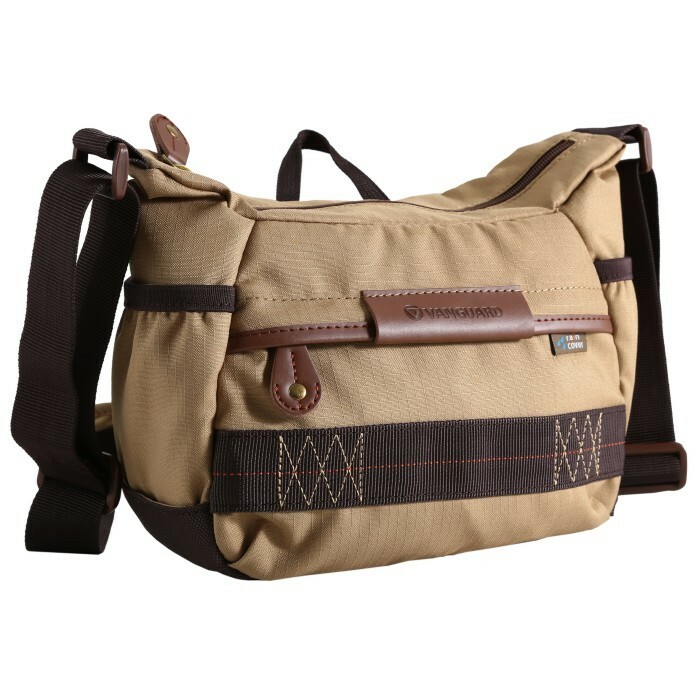 The Vanguard Havana 21 is a shoulder bag model that easily accommodates a DSLR or mirrorless camera with a lens attached, one or two additional lenses, other accessories like a flash, and even a small tablet. 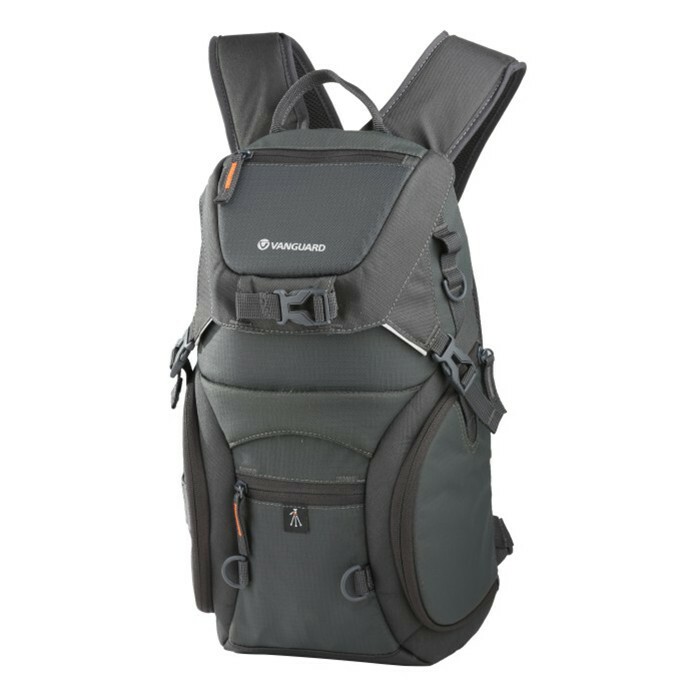 It's got an adjustable, padded shoulder strap for comfortable carrying no matter how tall you are. There's two water bottle pockets to keep you hydrated on long, hot days, too. Inside you'll find just what you expect from a great bag. There's dedicated pockets for your essentials, heavily padded inserts, and dividers to separate your delicate gear and keep it cushioned. The interior of the bag is lightly colored too, that way you can easily see what gear is where. Another handy feature is that this bag is convertible - just remove the interior inserts, and you've got a regular messenger bag to use for any purpose. And if the weather gets nasty, you can rest assured your gear will be dry with the integrated rain cover. That's not a bad set of features for a bag that's just $30! 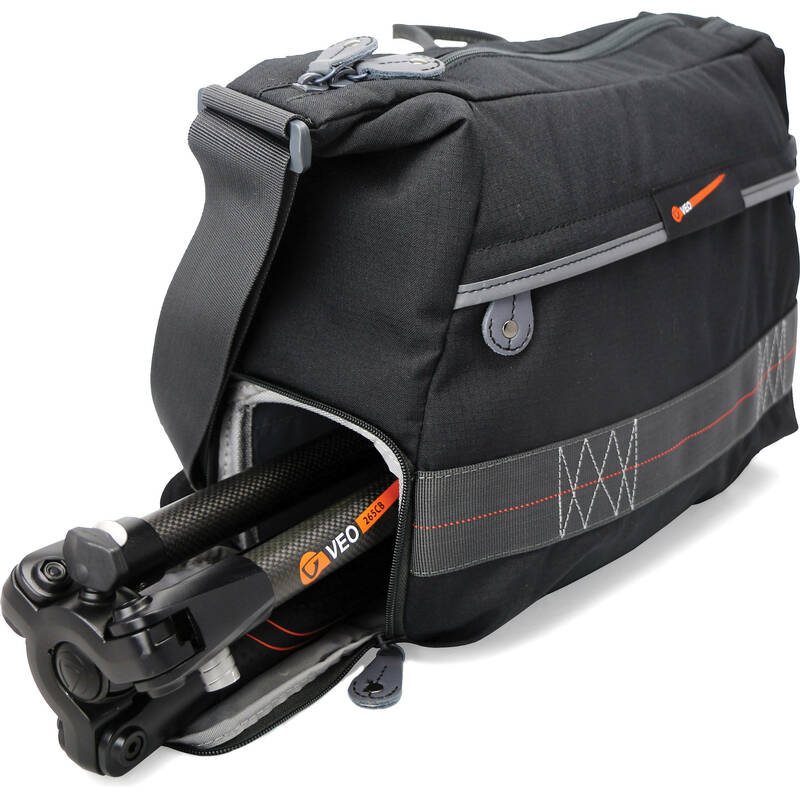 Another option for shooters that want a messenger bag setup is the Vanguard VEO 37. 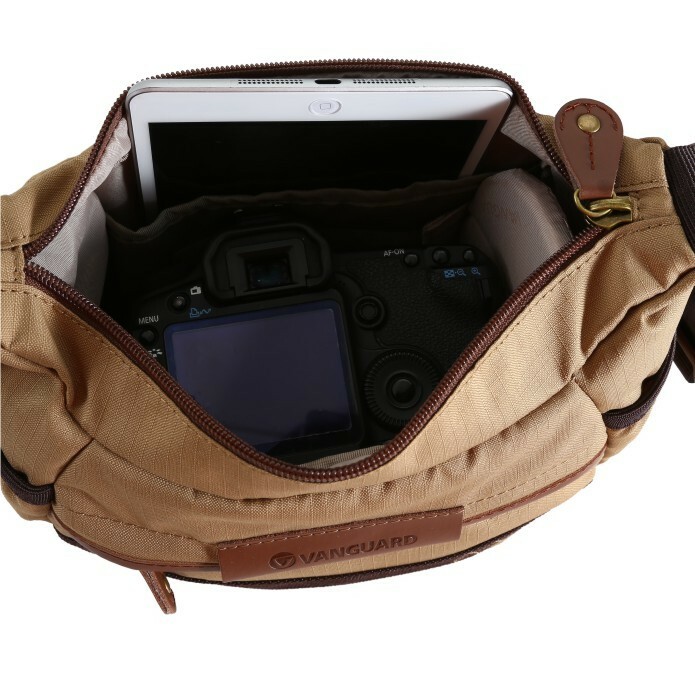 Like the Havana 21, the VEO 37 is a small, lightweight, and discreet bag that has room for a kit that includes a DSLR with lens, an additional one to two lenses, an 11-inch laptop, and even a tripod. Again, this bag offers easy access with quick-action entry from the top of the bag. You'll also find the same comfort in carrying this bag with its height-adjustable and padded shoulder strap. The integrated rain cover and water bottle pocket mean the VEO 37 is ready for inclement weather or long forays to get the shot. And with plush padding and a light-colored interior, you know your gear will remain safe and that you can easily find it, even when the light begins to fade. For around $40, you can carry all that photography gear or you can convert it to a traditional messenger bag to carry whatever you want. If a backpack-style bag is more appealing to you, consider the Vanguard Adaptor 41. Not only is this bag stylish, but it's also incredibly versatile. The Adaptor 41 is ideally suited for day trips out with your camera. It's got dual side access, so no matter if you're a left-handed or right-handed shooter, you have easy access to your camera. When time is of the essence, ease of access is an important feature! The bag also easily converts to a sling bag by stowing one shoulder strap. That gives you more adaptability in terms of how you carry your gear. Inside, the bag has a buckled top compartment for things like small camera accessories, your car keys, or your phone. The main compartment has a customizable interior too, so you can carry a camera with lens, a flash, an additional lens, or whatever combination of gear you might need. Lash your tripod to the outside of the bag, and you're ready to go! You get all that for just $60, too. 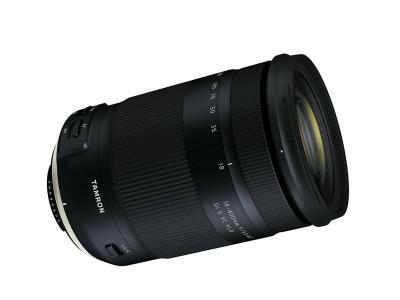 If you need room for a pro DSLR, 3-4 lenses, a 13-inch laptop, and other camera accessories, an attractive solution is the Vanguard Adaptor 46. 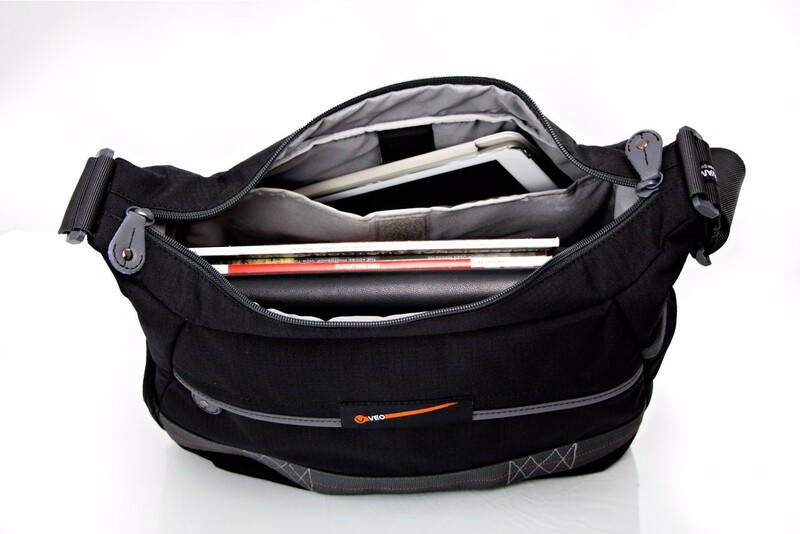 Like the Adaptor 41, this bag is convertible so you can use it as a backpack or a sling bag. It's also got the dual side access for left-handed and right-handed shooters. 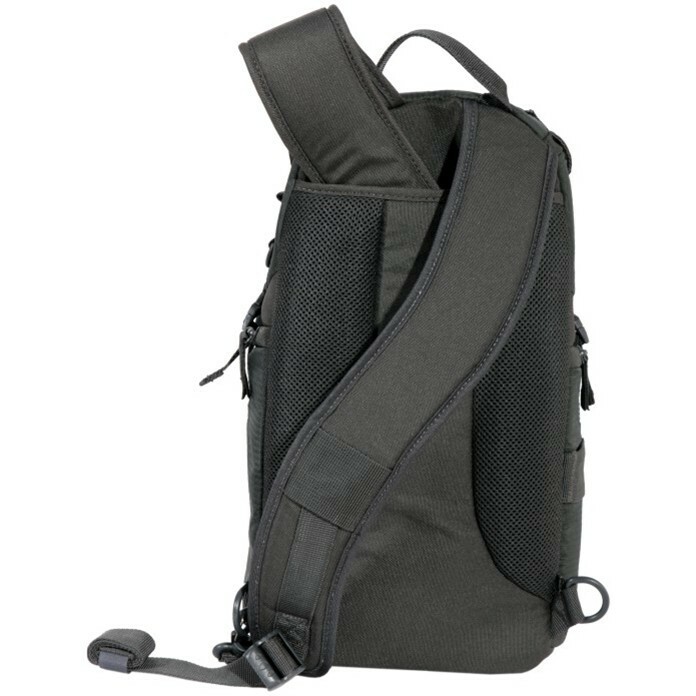 This rig is meant for travel, as it's carry-on size and has stowable shoulder straps for clutter-free travel. There's double security buckles to keep your gear safely inside, and with padding all around, there's no worry about your gear sustaining any bumps or bruises. On the back is a tripod carrying system, so you have a complete transport solution for all the necessary gear for getting some spectacular photos. It's also affordable, at just $80. For something that's even bigger but doesn't sacrifice comfort, a sling bag like the Vanguard Up-Rise II 43 is a definite option. 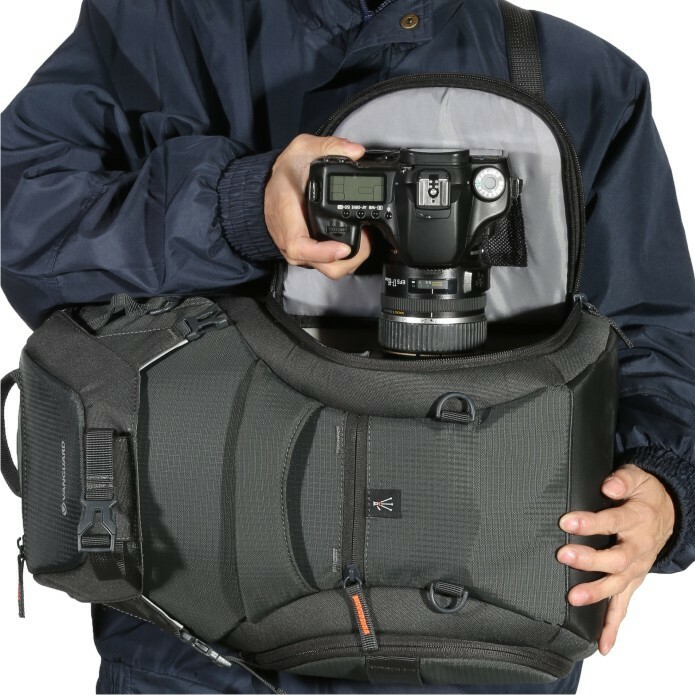 This bag has tons of storage that fits a pro DSLR, 4-5 lenses, a flash, and other needed accessories. There's even an expansion system that allows you to have more storage space by opening a single zipper. 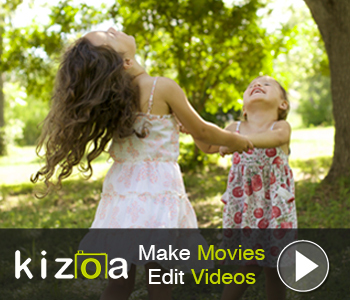 With side access, you can easily get to your camera quickly. 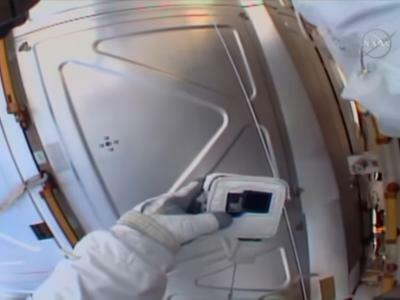 The single-hand opening system helps in that endeavor too. Like the other bags above, this one has padding to keep your gear safe and dedicated pockets for storing small items out of the way. 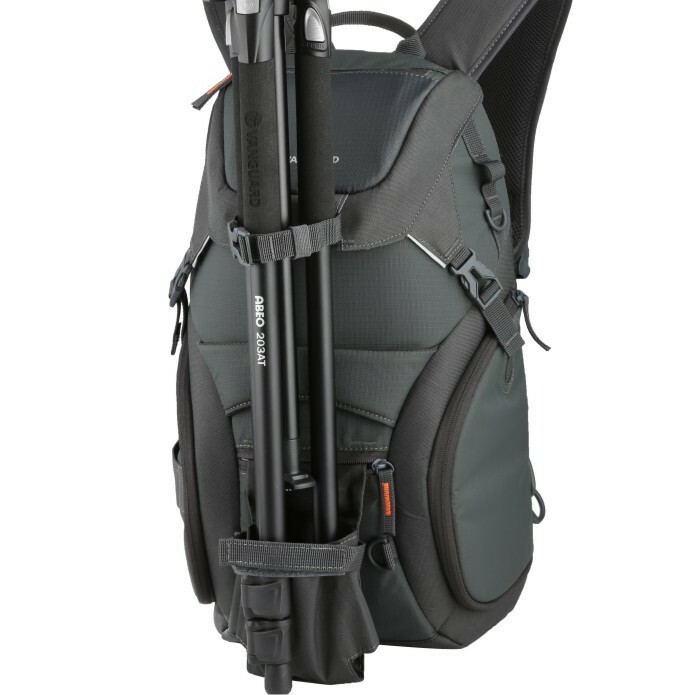 The Up-Rise II 43 also has an air system back to keep you cool and a padding sling strap with an additional securing strap so the load you carry is stable on your back. Add in double security buckles and a rain cover, and you've got a bag that can go anywhere you go while keeping your gear secure. That's a lot of camera bag for under $100! In the end, buying a camera bag is an incredibly personal experience as what you need and what's comfortable for you might be totally different from the next person. 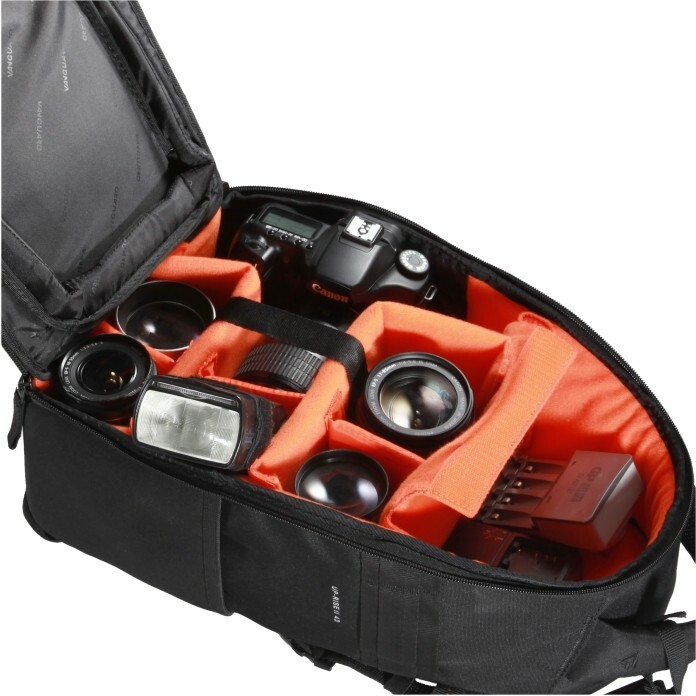 But with a wide range of camera bags available in different sizes, styles, and at varying price points, you can certainly find a bag that addresses your specific needs without breaking the bank. 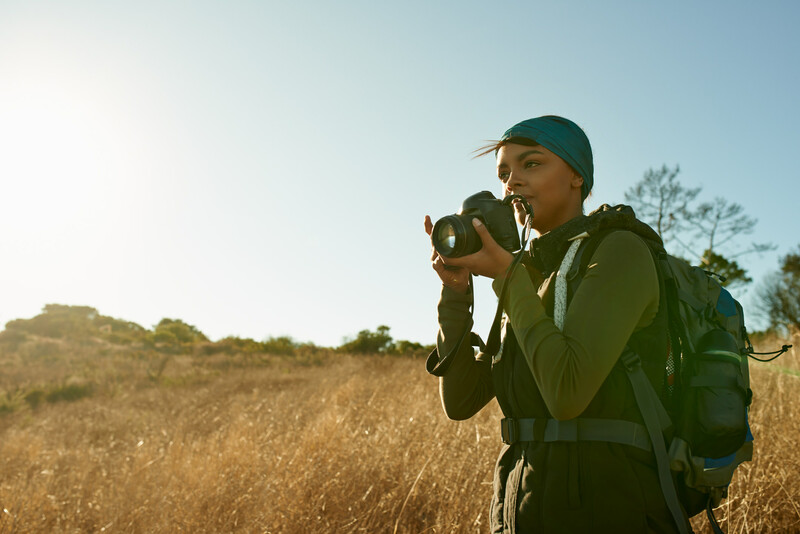 Just think of all the other gear you can buy with the money you save on a budget-friendly camera bag!